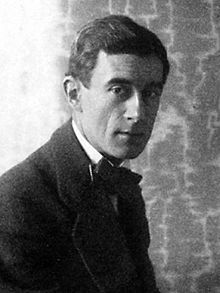 Joseph-Maurice Ravel (March 7, 1875 – December 28, 1937) was a twentieth-century French composer and pianist, known especially for the subtlety, richness and poignancy of his music. His piano, chamber music and orchestral works have become staples of repertoire. Ravel's piano compositions, such as Miroirs and Gaspard de la Nuit, are virtuosic, and his orchestrations, as in Daphnis et Chloé and his arrangement of Modest Mussorgsky's Pictures at an Exhibition, are notable for their effective use of tonal color and variety of sound and instrumentation. To the general public, Ravel is probably best known for his orchestral work, Bolero, which he considered trivial and once described as "a piece for orchestra without music." Still, upon closer inspection, Bolero reveals Ravel's brilliant, and often adventurous orchestrational technique. Though Ravel's harmonic idiom resembled the "impressionist" aspects similar to those of his contemporary, Claude Debussy, his harmonies remained functional in keeping with traditional "classical" practice. A number of his later works reveal the influence of American Jazz for its melodic, harmonic and rhythmic characteristics; moreover, he knew and admired Geroge Gershwin. He was also influenced by the music of Spain and several of his works, most notably, Rhapsodie espagnole, contain significant Spanish musical properties. This curiosity of music of other cultures and nationalities indicates an openness and appreciation of ethonomusicology. Ravel was born in Ciboure, France near Biarritz, part of the French Basque Country region, bordering on Spain. His mother, Marie Delouart, was Basque while his father, Joseph Ravel, was a Swiss inventor and industrialist. A few of Joseph's inventions are quite important. Among them is an early internal combustion engine as well as a notorious circus machine, "The Whirlwind of Death" (an automotive loop-the-loop that was quite a hit in the early 1900s). After the family moved to Paris, Ravel's younger brother Edouard was born. At seven years old, young Maurice began piano lessons and composed pieces beginning about five or six years later. His parents encouraged his musical pursuits and sent him to the Conservatoire de Paris, first as a preparatory student and eventually as a piano major. During his schooling in Paris, Ravel joined with a number of innovative young artists who referred to themselves as the "Les Apaches" or 'hooligans' because of their wild abandon. The group was well known for its drunken revelry. He studied music at the Conservatoire under Gabriel Fauré for a remarkable fourteen years. During his years at the conservatory, Ravel tried numerous times to win the prestigious Prix de Rome, but to no avail. After a scandal involving his loss of the prize in 1905 (to Victor Gallois), even though he was considered the favorite to win that year, Ravel left the conservatory. The incident—named the Ravel Affair by the Parisian press—also led to the resignation of the Conservatoire's director, Théodore Dubois. While many critics claim Ravel was influenced by composer Claude Debussy, Ravel himself claimed he was much more influenced by Mozart and Couperin, whose compositions are much more structured and classical in form. Ravel and Debussy were, however, clearly the defining composers of the Impressionist music movement. Ravel was also highly influenced by music from around the world including American Jazz, Asian music, and traditional folk music from across Europe. Ravel had left the Roman Catholic Church and was a self-declared atheist, although he was also a spiritualist like many skeptics of his generation. He disliked the overtly religious themes of other composers, and instead preferred to look to classical mythology for inspiration. In 1907, after the premiere of Histoires Naturelles a controversy erupted. Pierre Lalo criticized the work as plagiarism of Debussy; however, criticism was quickly silenced after the Rhapsodie espagnole was received with such high critical acclaim. Ravel later worked with ballet choreographer Sergei Diaghilev who staged Ma Mère l'Oye and Daphnis et Chloé. The latter was commissioned by Diaghilev with the lead danced by the great Vaslav Nijinsky. Ravel continued his feud with the French musical establishment. In 1920, the French government awarded him with the Légion d'honneur, but Ravel refused. Soon, he retired to the French countryside where he continued to write music albeit less prolifically. In 1928, Ravel for the first time began a piano tour in America. In New York City, he received a moving standing ovation which he remarked was unlike any of his underwhelming premieres in Paris. That same year, Oxford University awarded him with an honorary doctorate. Ravel never married, but he did have several long-running relationships. Many of his friends have suggested that Ravel was known to frequent the bordellos of Paris, but the issue of his sexuality remains largely a mystery. Though Ravel considered his small size and light weight an advantage to becoming a pilot, during the First World War, he was not allowed to enlist as a pilot because of his age and weak health. Instead, upon his enlistment, Maurice Ravel became a truck driver. He named his truck "Adelaide." Most references to what he drove in the war indicate it was an artillery truck or generic truck. No first hand reference mentions him driving an ambulance. His few students included Maurice Delage, Manuel Rosenthal and Ralph Vaughan Williams. In 1932, Ravel was involved in an automobile accident that severely undermined his health. His output dropped dramatically. In 1937, he had a neuro-operation that he hoped would restore much of his health, but the operation was a failure and he died soon afterwards. He is buried in Levallois Perret (North-West part of Paris, France). Ravel considered himself in many ways a classicist. He relied on traditional forms and structures as ways of presenting his new and innovative harmonies. He often masked the sections of his structure with transitions that disguised the beginnings of the motif. This is apparent in his Valses nobles et sentimentales—inspired by Franz Schubert's collections, Valses nobles and Valses sentimentales—where the seven movements begin and end without pause, and in his chamber music where many movements are in sonata-allegro form, hiding the change from developmental sections to recapitulation. Though Ravel's music has tonal centers, it was innovative for the time period. In keeping with the French school pioneered by composers such as Chabrier, Satie, and Debussy, Ravel's melodies are almost exclusively modal. Instead of using major or minor for his predominant harmonic language, he preferred modes with major or minor flavors, for example, the Mixolydian mode with its lowered leading tone, instead of major, and the Aeolian mode instead of minor. As a result, there are virtually no leading tones in his output. Melodically, he tended to favor two modes, the Dorian mode and the Phrygian mode. He was in no way dependent on the modes exclusively for he used extended harmonies and intricate modulations outside the realm of traditional modal practices. Ravel was fond of chords of the ninth and eleventh, and the acidity of his harmonies is largely the result of a fondness for unresolved appoggiaturas (see Valses Nobles et Sentimentales). His piano music, some of which is noted for its technical challenges (see Gaspard de la nuit), was an extension of Lisztian virtuosity. Even his most difficult pieces, however, are marked by elegance and refinement. He was inspired by various dances, his favorite being the minuet. Other forms from which Ravel drew material include the forlane, rigaudon, waltz, czardas, the habanera, passacaglia, and the bolero. Ravel has almost always been considered one of the two great French musical Impressionists (the other being Debussy), but in reality he is much more than just an Impressionist. In his A la maniere de...Borodine (In the manner of...Borodine), Ravel plays with the ability to both mimic and remain original. In a more complex situation, A la maniere de...Emmanuel Chabrier /Paraphrase sur un air de Gounod ("Faust IIème acte"), Ravel takes on a theme from Gounod's opera Faust and arranges it in the style of Emmanuel Chabrier. Even in writing in the style of others, Ravel's own voice as a composer remained distinct. Ravel had very meticulously crafted manuscripts. Unfortunately, early printed editions of his works were prone to errors. Painstakingly, he worked with his publisher, Durand, in correcting them. In a letter, Ravel wrote that when proofing L'enfant et les sortilèges, after many other editors had proofread the opera, he could still find ten errors per page. Each piece was carefully crafted, although Ravel wished that, like the historical composers he admired, he could write a great quantity of works. Igor Stravinsky once referred to Ravel as the "Swiss Watchmaker," a reference to the intricacy and precision of Ravel's works. On the surface, he was influenced by Debussy, but also the music of Russia, Spain and the jazz music of the United States, as reflected in the movement titled Blues from his G major violin sonata. He also once stated that he had never written a piece not influenced by Edvard Grieg. In 1928, Ravel wrote that composers should be aware of both individual and national consciousness. That year, Ravel had toured the United States and Canada by train performing piano recitals in the great concert halls of twenty-five cities. In their reluctance to take jazz and blues as a nationalistic style of music, he stated America's composers' "greatest fear is to find themselves confronted by mysterious urges to break academic rules rather than belie individual consciousness. Thereupon these musicians, good bourgeois as they are, compose their music according to the classical rules of the European epoch." When American composer George Gershwin met Ravel, he mentioned that he would have liked to study with the French composer if that were possible. The Frenchman retorted, "Why should you be a second-rate Ravel when you can be a first-rate Gershwin?" His two piano concertos in many ways reflect the style of Gershwin. Of the Concerto in G, Ravel said the concertos of Mozart and Saint-Saëns served as his models. He intended to write an earlier concerto, Zazpiak Bat, but it was never finished. The title reflects his Basque heritage, meaning 'The Seven Are One'. It refers to the seven Basque regions, and was a motto often used in connection with the idea of a Basque nation. Surviving notes and fragments also confirm that this naturally was to be heavily influenced by Basque music. Instead, Ravel abandoned the piece, using its nationalistic themes and rhythms in some of his other pieces. Ravel commented that André Gédalge, his professor of counterpoint, was very important in the development of his skill as a composer. As an orchestrator, Ravel studied the ability of each instrument carefully in order to determine the possible effects. This may account for the success of his orchestral transcriptions, both of his own piano works and those of other composers, such as Modest Mussorgsky. In the aforementioned Bolero, the composer's keen ear for orchestrational timbre combined with his uncanny ability to create novel and decidedly original colors is displayed to great effect. In one particular passage he harmonizes the main theme, played by a solo horn mf (moderately loud), while having two piccolos playing the third and fifth partials in the harmonic series pp (very soft) and the celesta playing the second and fourth partials p (soft.) The resulting effect is highly exotic and exhibits Ravel's ability to create strikingly original orchestral colors, a hallmark of his music. This page was last modified on 4 September 2018, at 15:48.